Gaps between what you need and what you have. Gaps caused by budgets, emergencies, missing or damaged equipment, special projects, turnarounds or outages, you name it. Protection can't wait! When you need it now, ORR Safety is here for you. Click here to use our simple online rental request form! Same-day delivery to many locations. Next-day delivery anywhere in the United States. 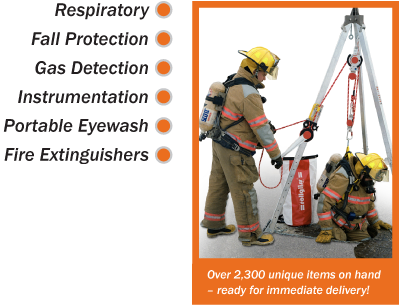 All equipment is 100% tested prior to shipment. Complete with all basic accessories needed for operation.